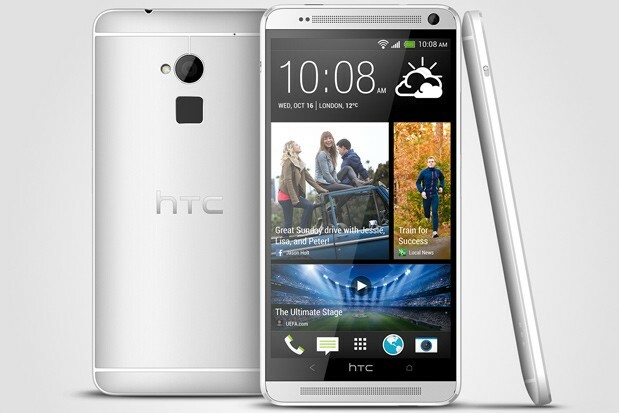 HTC India has launched its first phablet HTC One Max in India for the whopping price of ₹ 56,490. The MRP price of HTC One Max is ₹ 61,490 and the best buy price is around ₹ 56,490. This proves that HTC is pretty bad with their pricing. Almost all phablet with similar features available for much lower price than One Max. The HTC One Max has 5.9-inch Full HD 1080p display, 1.7 GHz Qualcomm Snapdragon 600 processor, 2 GB of RAM and a large 3300 mAh battery. The phone will come in 16 GB or 32 GB variants, expandable with up to 64 GB thanks to the MicroSD card slot. HTC also offer 50 GB of free Google Drive online storage to max owners. HTC One Max comes with with Fingerprint scan which allow users to lock or unlock the screen and quickly launch up to three favorite applications by assigning an individual finger to each. HTC One Max has an HTC UltraPixel camera that you can find in HTC One but without OIS (Optical Image Stabilization). OIS won’t affect end users as long as you’re not drunk. Along with HTC One Max, HTC also launched the HTC Mini+ for a price of ₹ 7799, HTC Fetch for a price of ₹ 2399 and the Power Flip Case for ₹ 5999. The HTC Power Flip Case comes with 11550 mAh battery. This will offer both protection and extra juice. Seriously very high price point, HTC need one segment to go viral at shoppers but this price may not help the scene until they too are trying to fetch some Hollywood hulk to support their brand. lol kidding.